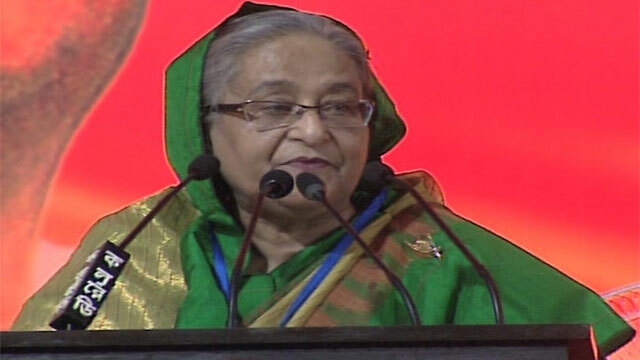 Dhaka, Jun 23 (Just News): Prime minister Sheikh Hasina on Saturday said the grassroots leaders and activists of Awami League will be held responsible if the people do not cast their votes in favour of the party in the next general elections. "We've implemented so many development programmes...we've developed the country. It won't be acceptable if people don't cast votes for boat after such massive development works," she said. The prime minister was speaking at a special extended meeting of the party with its leaders came from across the country at her official residence Ganobhaban. The leaders of AL central working committee, advisory council and national committee, district, city and upazila units' presidents and secretaries, and members of parliament attended the meeting. Sheikh Hasina, also the AL president, said there is no reason that people will not vote Awami League to power in the upcoming election. "If that happens, you the leaders and activists of the grassroots level will be held responsible...this is my opinion, which will mean that you have failed to reach out to the mass people, serve them, convince them, inform them about the tremendous developments that have taken place during the government," she said. Hasina insisted that there is no reason to suffer defeat by AL candidates in the election. "So, you (grassroots leaders and activists) have the huge responsibility."